New Orleans Native and WNBA Player, Theresa Plaisance visited The Good Shepherd School. Easily the tallest person in the building, the kids were impressed with the 6'5" Dallas Wings star. 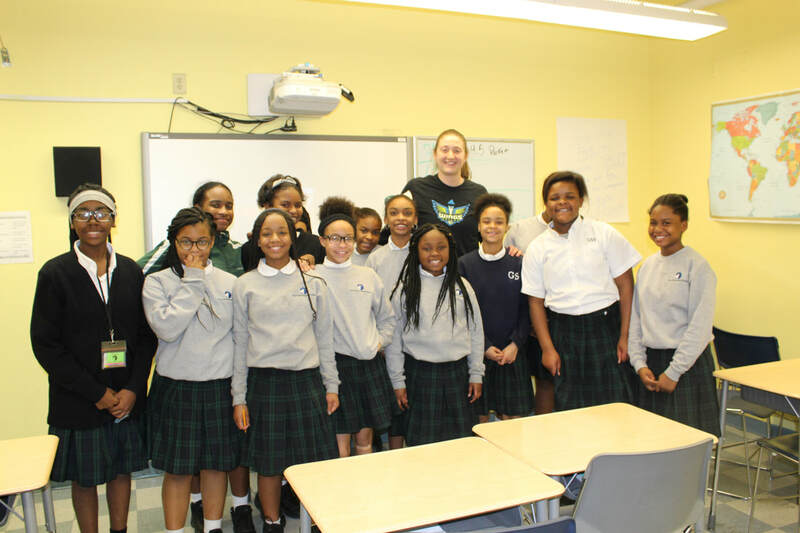 Theresa spent some quality time with the girls basketball team and shared her story and the significance that athletics played in her education and the value of hard work, faith and dedication.